One very good thing about your children growing older and developing their own interests is that they introduce you to things and lead you to places you wouldn’t otherwise go. Recently, I’ve been taken to dance shows and events, both amateur and professional, that I probably wouldn’t have known anything about if it wasn’t for my daughter, Kitty, who’s a Year 10 GCSE Dance student. 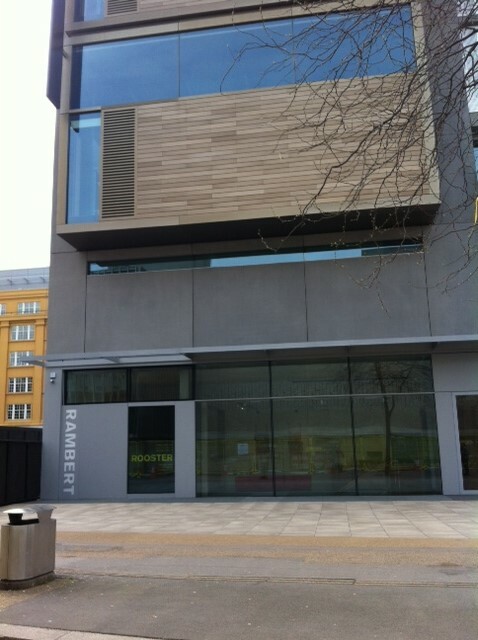 I’ve also found out more about Rambert (formerly Ballet Rambert) which as well as being a touring dance company, encourages people of all ages, backgrounds and abilities to participate in contemporary dance. For one week in the Easter holidays, Kitty attended daily dance classes at studios in Rambert’s beautiful new building on London’s Southbank. The Youth Dance course for 14-19 year olds was completely free and it culminated in a short performance inspired by the Rambert repetoire. 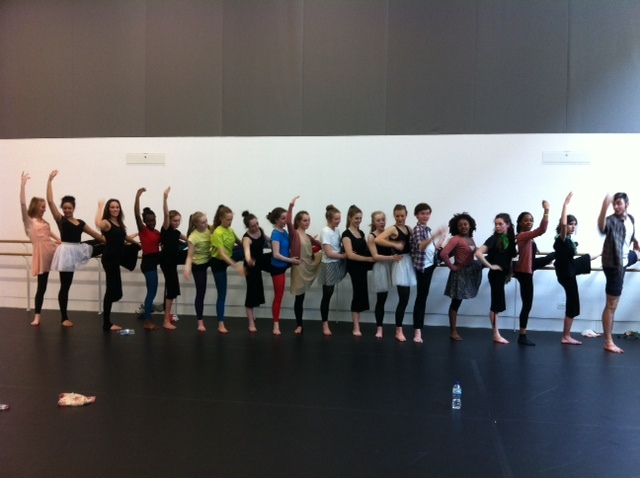 The young people learned dances and movements from previous Rambert productions and were even able to watch some of the Company’s dancers in rehearsal. Needless to say, Kitty had an amazing time, made many new friends and enjoyed her first taste of independence in London, lodging at my sister’s house in Peckham for the week and travelling to the Southbank by public transport each day. 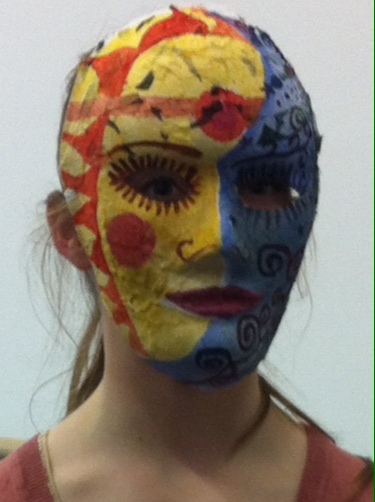 Something else that was a bit different about the Easter project was that the young dancers worked with a local, over-50s art group who designed and made commedia dell’arte masks for the final performance. I thought it was a brilliant idea of Rambert’s to enable this multi-aged, creative collaboration across different art forms. Not long after the Easter course had finished, I was emailed details of another opportunity for Kitty, a two hour work shop at Sadlers Wells theatre for £10 and the chance to learn some of the dance moves from the company’s iconic production, Rooster which the company has revived and which is currently on tour in the UK. This is a dance show choreographed by Christopher Bruce to music from eight Rolling Stones songs. Again, Kitty had a fantastic time dancing and later in the day, the whole family went to an insight matinee show (during which there were short, on-stage introductions to the dances by Rambert’s Artistic Director, Mark Baldwin and by Christopher Bruce himself). 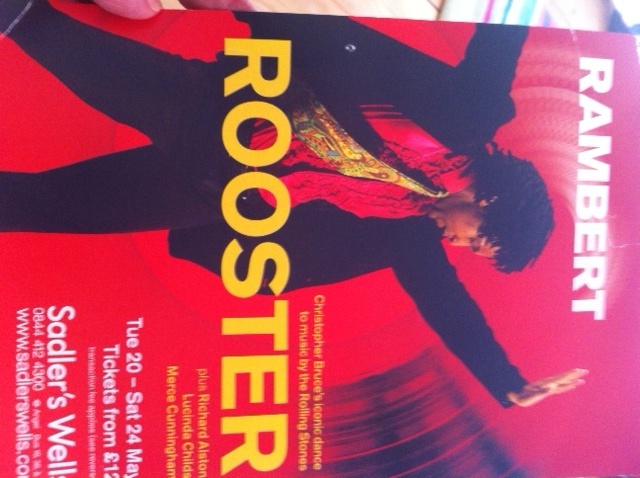 As well as Rooster (which is fabulous) we saw Sounddance (originally choregraphed by Merce Cunningham) which is a dance with a large cast to sounds rather than to music and Dutiful Ducks (choreography by Richard Alston) a solo dance in which repeated lines from a prose poem are the only soundtrack. I’ll confess to thinking “make it stop” during Sounddance as the cacophony of layered, often unidentifiable, mechanical, high-pitched sounds blasted out in the auditorium. I couldn’t really enjoy watching the dancers because I was put completely on edge by the non-music. Nevertheless, I was fascinated as to how the dancers are able to learn and remember dances without any music to help them and being made to feel uncomfortable certainly keeps you awake and alert! But I enjoyed Dutiful Ducks . Watching people dance to words highlights the musicality and rhythm in language and the dance reminded me of the session on Gertrude Stein in ModPo (remember ModPo?!) when I watched videos of her prose poems being used as a musical score. Keep a look out for what Rambert is up to and if you have the opportunity to see a show – go!